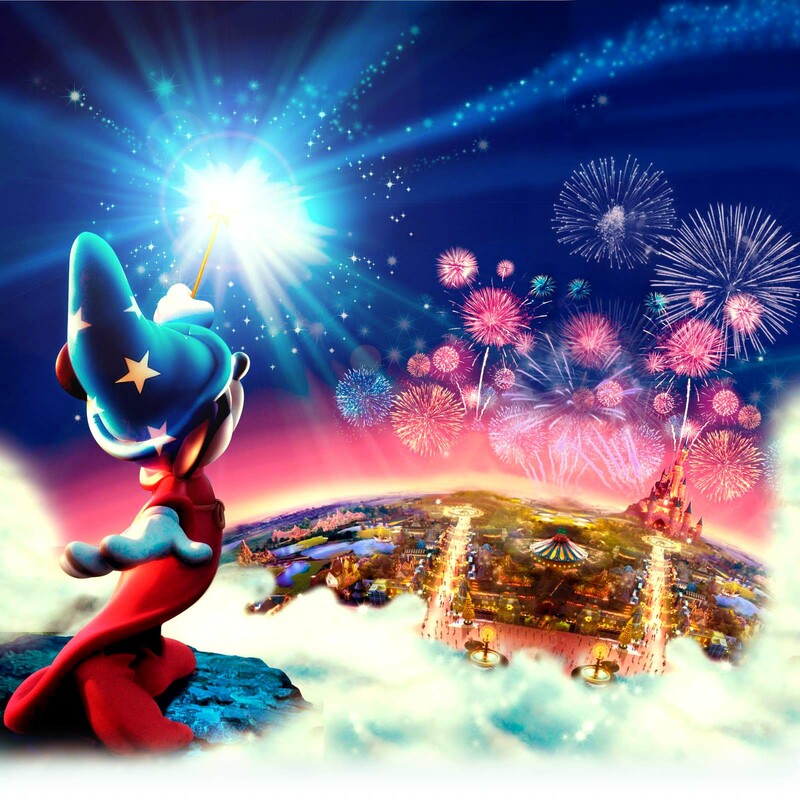 Mandas Disney Blog: Tips for Disney Summer Rain! 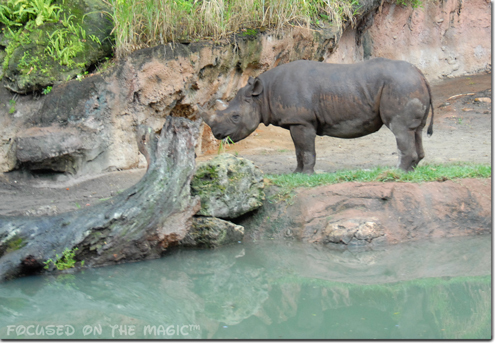 Today the awesome Debs from Focused on the Magic is sharing some brilliant tips for coping with Summer Rain at WDW for my Disney Summer Fun Series! But first, I'd like to touch on this weeks theme over at the Babes in Disneyland Blog Hop - 'Inspiration'! 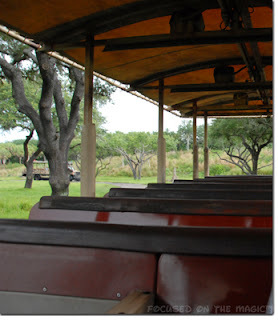 For my first ever post on the Magical Blogorail Black line, I introduced myself, my blog, and I wrote about what inspired me to start a Disney blog! Check it out here! What inspires me to Disney blog the most is that I get to share my Disney experiences with others! But of course ... this goes both ways! I love that I get to read about the awesome Disney experiences of fellow Disney bloggers! Fellow Disney bloggers also inspire me in my Disney blogging every day! Such as Debs from Focused on the Magic! Something I look forward to the most in the Disney blogosphere every week is her 'Disney Wordless Wednesday Blog Hop'! Debs does a wonderful job of bringing together the Disney blogging community for some Disney photo fun!! Debs herself is not only an awesome Disney blogger and Disney friend! She is also one of the BEST photographers I know! She inspires me to become a better one myself :) I love reading all her tips and hints for photograpahy in the Disney parks! Debs always blows me away with her snaps of all things Disney! Her blog is such a joy to scroll through! :) A real treat for the eyes so to speak! :P Please be sure to check her out at Focused on the Magic! 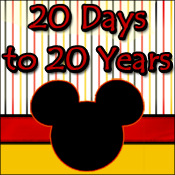 Which leads me to the first of this weeks guest posts for my Disney Summer Fun Series! That's right! ... It's Debs from Focused on the Magic! Check out her article below!! It's summertime in Orlando - hazy, hot and humid. Today's August Africa hot temperature at 1:00 PM is 90º and it feels like 103º! As if that isn't enough to wilt any diehard park hopper, there's high humidity! Touring the parks during the summer months for some is their only option during the year. Personally, I'd rather go during the summer than not go at all but DH feels quite differently. So, for the past five summers I've spent a week in Walt Disney World with one or both of our boys while DH opts for joining us on our much cooler October or February trips. Thank you so much, Amanda, for inviting me to join your Summer Fun Series! I enjoy reading all your delicious recipes and your great posts about Disneyland Paris. You've peaked my interest in one day visiting DLP! Please be sure to check out Debs and the rest of Debs blog over at Focused on the Magic! Also don't forget to check out the rest of the Disney Blog Hoppers over at the Babes in Disneyland Blog! Great tips Debs! We took advantage of the afternoon rains to go back to our resort for some quiet rest time, but our kids are younger than yours. I love the idea of hitting the safari during the rain - I'd bet the animals are much more active than they would be in the heat of the afternoon! Great tips Deb!! Manda I agree whole heartedly she is an awesome photographer! Great post!! 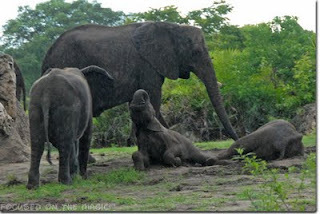 Thank you Tricia, the animals are so much more active and happy to splash around in the rain then we are!! Oh dear Donna Kay, I'm blushing:) thanks! Thanks so much Manda for having me today! I can't believe the summer is almost over! One more week! I've truly enjoyed reading all the fun summer posts. This has been a fabulous series!!! Super rainy day Disney tips. I agree with your hubby - I don't like the Florida heat (even in May) - but I also agree with you - Disney anytime is better than not at all! 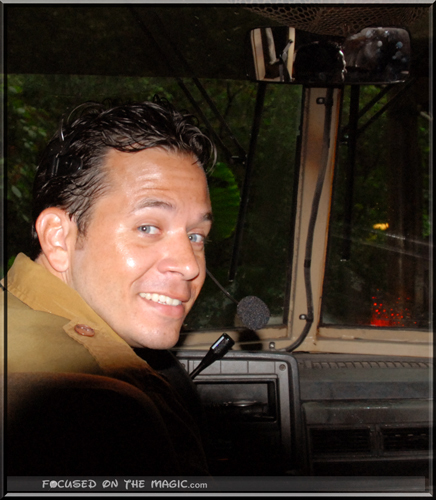 Your safari driver is pretty darned cute, Deb. Good pic! Good to know about Animal Kingdom being slippery! I had no idea!!! Thanks Debs for the tips and thanks Manda for hosting her post! Thank you so much for all the super kind words guys!! Didn't Debs do an awesome job!? I've done that before too Donna! One time I was in Dlp and it rained and I had some shopping - my hands turned blue from the dye!